The developer at Television City (Lamb Corp) has arranged for a public open house on December 6. The timing is not the best, but hopefully some will find it convenient, attend and share thoughts and concerns about this massive development. 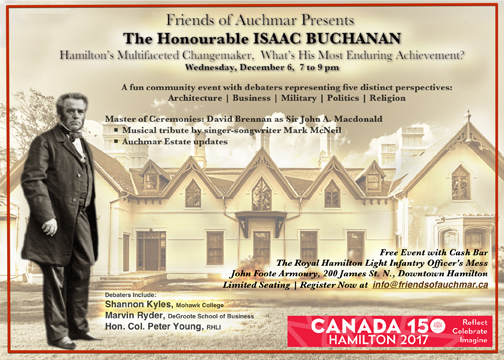 See the poster for details. 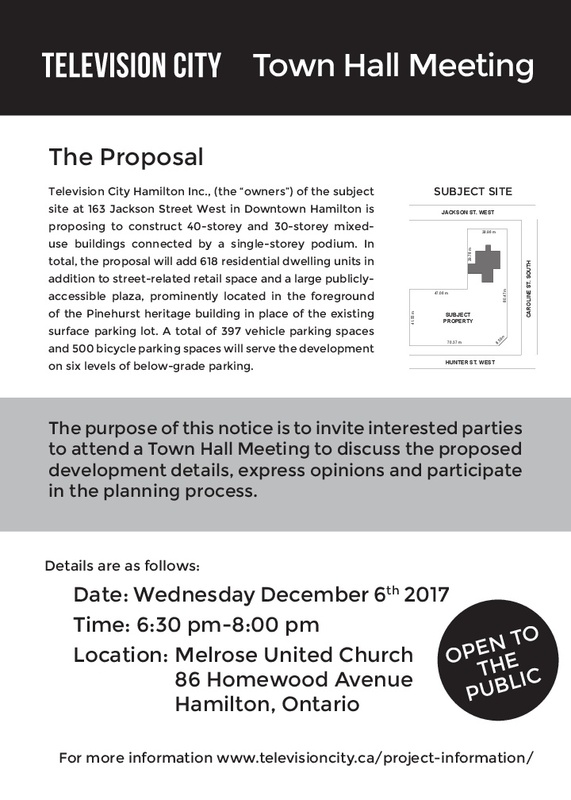 Please note this is not the official public meeting with Planning — that will be scheduled in February or March 2018. 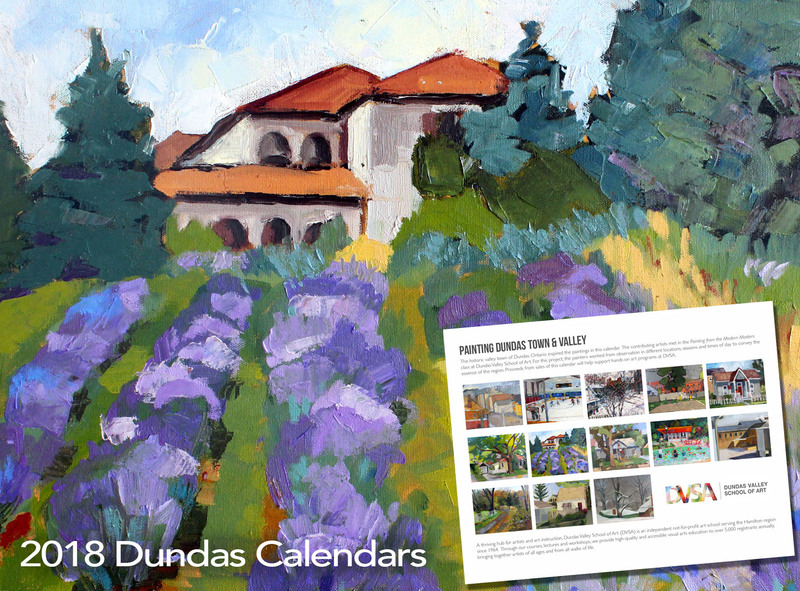 Dundas Valley School of Art is selling calendars for 2018. The print below is of Weir’s Lane Lavender Farm by Diane Szabados. Just one of many great paintings in the 2018 #Dundas calendar with all artwork by DVSA artists. It’s the perfect small gift this holiday. On sale now at DVSA for just $15 and all proceeds to the school. Buy 1 (or 2 or 3) and show your support for the local art scene throughout 2018 with these gorgeous paintings of the region. Redchurch Cafe is a beautiful new coffee shop beside Gore Park with an art gallery in the back. A new show is opening December 8 and will run until January 8. 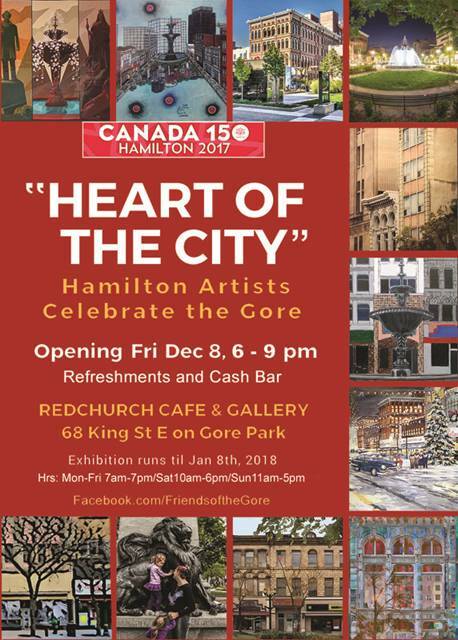 Come out and enjoy familiar Hamilton scenery from the viewpoint of 30 artists. Upcoming Events and Good News for the Gore!